Augmented reality and magazines have been growing closer together recently. Some magazines have adopted the technology for marketing purposes, while others have covered the technology extensively in articles. 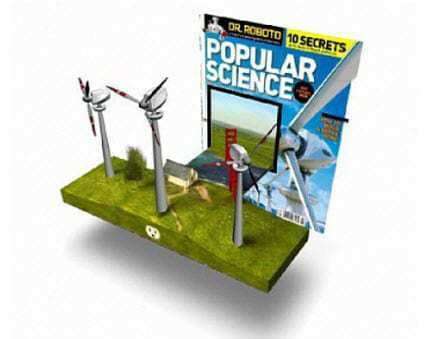 This week, Popular Science, a monthly consumer magazine in the U.S., announced that its June issue will make use of augmented reality technology provided by Aurasma, a leading AR developer. The magazine is claiming to be the first of its kind to use the technology in an editorial feature. Popular Science editors have joined with Aurasma to bring next month’s Invention Awards issue to life. The magazine’s annual feature puts ten ambitious inventors into the limelight and profiles the technologies they have created. Readers will be able to experience the editorial feature using the PopSci Interactive mobile application, which has been developed with the help of Aurasma. The application is available for both iOS and Android platforms. Using the application, readers will be able to unlock exclusive digital content associated with the editorial. This content ranges from additional information concerning particular technologies and their inventors to video footage and interviews. The application will also allow users to take a screenshot of the content they find and share their augmented reality experience with friends and family via social media platforms. Popular Science believes that its use of augmented reality will serve as an example that other magazine publishers may choose to follow. Augmented reality is often touted for its ability to provide entertaining and interactive experiences. The technology has garnered a great deal of popularity in both the marketing and games industries, but the print industry is beginning to make use of augmented reality as a way to become more competitive. Popular Science believes that augmented reality can help it reach out to tech-savvy consumers, many of whom have already been exposed to the technology.